Interoperability is an important issue in the supply chain management (SCM) systems that highly influence the productivity, especially in such complex automobile domain that many supplies take part in the activities and requirements are dynamically changed according to the market. In order to keep ahead in the competitive market, each enterprise in the supply chain should keep efficient interoperability with its partners. However, it is difficult for all of them to update their SCM systems in real time for collaboration especially for some small suppliers due to the expensive maintenance and complex technologies. 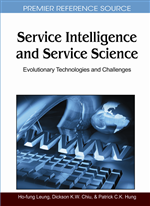 In this paper, we propose a service-oriented approach to solve the above problem by providing an integrated platform, where interoperability is considered as utility-like capability and delivered in the form of Software as a Service (SaaS). Each enterprise in a supply chain could establish the interoperation activities with other partners in this platform and thus they could efficiently collaborate. We illustrate in detail how two SaaS-typed applications interact with each other. Global competition has compelled manufacturing companies to produce an ever increasing variety of products, in lower quantities, with higher quality, lower costs and within shorter production times. In line with this irreversible trend, a new pattern of inter-enterprise relationship is evolving. There is a tendency for large firms to evolve into loosely tied and decentralized federations or business units, making products and seeking alliances both within and outside the “consortium” to serve customers' demands to their best ability. The emergence of these “small firms” and the new pattern of inter-firm relationships will evolve into a new production paradigm - a virtual enterprise. So the competitiveness of today’s enterprise is to a large extent determined by its ability to seamlessly interoperate with others. Enterprise Interoperability (EI) has therefore become an important area of research to ensure the competitiveness and growth of enterprises (Yannis et al., 2008). In modern manufacturing field, such as automobile industry, an entire manufacturing process often cooperated by assembly factory and part suppliers. Agile Supply Chain Management increasingly becomes an effective and important measure to enhance competitive advantage of enterprises that needs the support of agile information system to integrate their supply chain more effectively and quickly (Tarokh et al., 2007). As auto manufacturers inexorably move their sourcing of components and low value-added operations offshore, to lower cost countries, so their supply chains increase in both distance and complexity. Many companies are faced with the challenge of providing an agile response to customers and yet operating a lean operation across an extended global supply chain. This is a challenge that needs a solution beyond the abilities of simply judgment, the telephone and spreadsheets (Ross, 2003). The need to set up alliances among different types of enterprises quickly in order to benefit from market opportunities, are causing new types of problems, like interoperability, to appear in the enterprise. Enterprise interoperability issues in the automotive industry are important because the complexity of the product, the design process, and the industry magnifies the impact of interoperability problems while obscuring their solution. Choosing a framework is a necessary condition for facilitating interoperability engineering because they are representing best practices in the domain of interoperable systems engineering. According to the INTEROP NoE interoperability framework, three categories of interoperability barriers are identified: conceptual barriers, technological barriers, and organizational barriers. What’s more, there are three basic ways to relate systems together to establish interoperations: integrated approach, unified approach, and federated approach (David Chen et al., 2008). In this paper, our research work aims at developing a methodology that provides a guide on how to implement an interoperability solution in automotive supply chain management through a federated approach. More precisely the methodology allows establishing interoperability by: (1) constructing a virtual enterprise by identifying and involving various actors and stakeholders in the interoperability service platform; (2) dynamically composing available interoperability service utilities according to identified requirements; (3) evaluating and improving the interoperability solution in practice. Under the guiding of this methodology, we design and develop a service platform, which is built on top of existing ICT infrastructure available in most of enterprises. In our platform, the interoperability services are delivered in the form of SaaS (Abhijit et al., 2007), which are cheap, fast, reliable, and without major integration efforts, so they can be invoked by enterprises on the fly in support of their business activities. The goal of the Platform is to provide a holistic solution enabling the collaborative supply chain management in a flexible and dynamic environment and especially to facilitate SMEs’ participation to collaborative supply chain management processes.